How do I ensure my products work for people with disabilities? In-Depth Answer: How do I ensure my products work for people with disabilities? You can apply this thinking to any given function: seeing, hearing, speaking, moving, remembering, reasoning, etc. A product cannot be made to be accessible by all people with disabilities. That would be impossible. Some people with cognitive disabilities may not understand the purpose of a given product, let alone be able to use it. Instead, the goal is to make products that are usable by as many people as possible, including people with disabilities. This practice is called ‘inclusive design’ (also known as ‘universal design). When learned people meet to discuss standards governing the technical requirements of product design, they have to weigh various considerations, such as their knowledge of technology access, their knowledge of people with disabilities, and their knowledge of industry. Their goal through this process of consideration and evaluation is to reach agreements with each other that result in the most number of people with disabilities being able to use a given type of product. The result is usually a set of compromises in the form of standards and guidelines that pertain to the technical features of products. When followed and implemented, this should result in products that are operable by people with a wide range of disabilities (but not necessarily all people with disabilities). Can you meet a technical accessibility standard for operability, and yet have a product that is difficult for the majority of people with disabilities to use? Yes, you can. 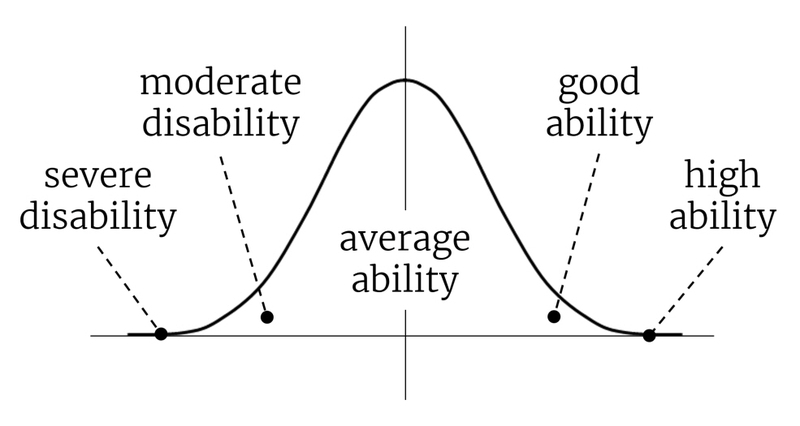 This article is about going beyond technical standards conformance for operability to assess the usability of a product by people with disabilities. Note: Laws concerning accessibility of ICT result in technical standards for operability. However, there are no laws concerning usability for anyone in the population, let alone usability for people with disabilities. Increasing usability is a competitive advantage concern; not a legal concern. While it is possible that you can meet technical standards and fail on usability measures, the technical standards exist for a very good reason. Meeting the technical standards for operability puts you in a much better position to have a usable product. To put it another way, you are much more likely to have a product that is easy to use by people with disabilities if you start off with a solid technology foundation for your product. Note: We have produced a related article concerning technical standards conformance: What procedures should I use to test my ICT for accessibility? Achieving a level of technical standards conformance gives you confidence that your product will be operable. But, how do you ‘ensure’ that your products really work for people with disabilities? For that, you need to test your products with end users. Usability testing is a whole field of practice and study that has its own resources, conferences, books, websites, and so forth. There is overlap with usability and accessibility, in that the majority of usability professionals would agree that the term ‘end user’ includes the whole population, not just people who have average or high abilities. As a result, many usability professionals and usability resources will refer to accessibility issues, and will discuss the adjustments that need to be made to usability test processes to be more inclusive. For example, one common usability test technique is called “think aloud” where the user describes their thoughts as they use the product. If you were doing think aloud techniques for an end user who is using a screen reader because they are blind, you have two sources talking at once, and therefore you need to adjust test procedures to allow pauses in the interaction, and maybe have the participant “think-aloud-after-the-fact”. The same sorts of techniques used to test usability can be adapted to be inclusive. Just Ask: Integrating Accessibility Throughout Design by Shawn Henry contains extensive coverage of usability testing and people with disabilities. Once your product is on the market, how do you get feedback from people with disabilities on how easy it is to use? There are passive means to receive feedback, such as online reviews of products. Usually though, reviews of mainstream ICT products are unlikely to contain deep insights on accessibility issues. To obtain feedback, it is more productive to actively solicit feedback by reaching out to customers who have disabilities. Creating a campaign via social media and/or reaching out to organizations for and of people with disabilities can be a way to connect with consumers. User research techniques such as focus groups and (accessible) online surveys can be employed to connect with target audiences to assess how well your products work for people with disabilities. The graphic at the head of this article represents an optional goal for developers. The consideration of whether something is accessible to people with disabilities moves from static to dynamic with the consideration of whether a product is just operable, or is it actually usable. Note: For the task of making your social media activities accessible, we cover this topic in our introductory guide for small businesses and startups. Digital Outcasts: Moving Technology Forward without Leaving People Behind is a book by Kel Smith. The book is a useful primer on issues around the actual use of ICT, and how it relates to innovation, and tackling accessibility strategically. The main companion to this guide is the article What procedures should I use to test my ICT for accessibility? The Support section includes links to subject matter experts who can help you identify and implement usability testing procedures. Contact the National Federation of the Blind for reaching consumers and potential usability test participants. ‘Accessibility Gauge’ by Chris M. Law & The Accessibility Switchboard Project. CC BY-SA 4.0. 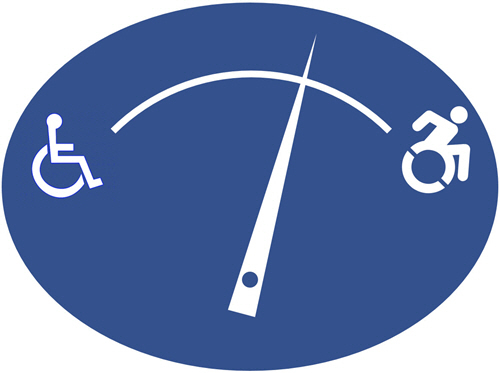 Note: Incorporates the dynamic wheelchair icon from The Accessible Icon Project.